Every time I see the slogan “drill baby drill” appear as a response to recent rises in gas prices, I think back to the short time I lived in Alaska. Spanning the summer of 2007, my short adventure in Fairbanks left me with much to think about. One of the most surprising was the lessons learned from $5.30 gas prices – in a state that pays its residents dividends from its large oil production. Long story short, Alaskan oil isn’t the cleanest – in fact, refineries in the U.S. don’t touch the stuff. Alaskan oil is thick and heavy, to the point where the pipeline has a special cleaning tool known as a pig to keep the oil flowing. Most of the oil is then shipped to relatively nearby markets in Japan and Korea, while oil in Alaska itself is either put through a more rigorous processing or shipped from elsewhere in the world. But this story isn’t meant to be a warning on the future downfall of the oil industry – much is already out there written on the subject. It’s more about what happened as a result of this market reality and how that is manifested in Alaska’s development. For starters, towns and cities are distinct, relatively dense developments. In Fairbanks, there was an extensive network of bike trails, a relatively strong bus system, and an abundance of small and sometimes hybrid vehicles. Transportation in town was treated as a different challenge than driving on any of the state’s 5 major highways to other towns. Getting from town to town meant dealing with unpaved highways. These roads, also sometimes referred to as ‘haul roads’, were mainly designed for shipping with the added benefit of summer tourism. They required a raised truck able to clear frost heaves that form every winter, bucking and bending the highways. Families generally either owned a second vehicle or rented when needed. 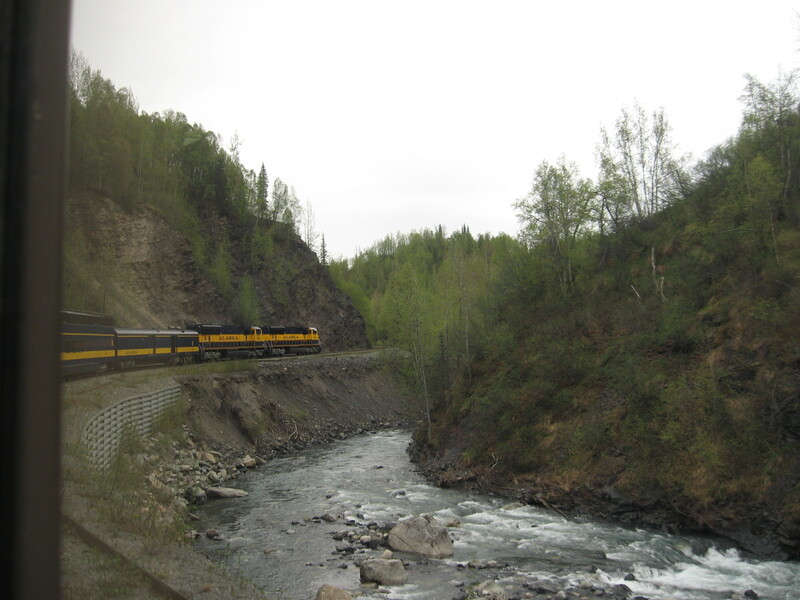 But I was told the best way to travel, and really the only year-round option, is by Alaska Railroad that even had a stop at Denali National Park’s front gates. Many of the smaller villages, especially in Native territory, are only connected to each other and the major towns by air or river. In a landscape of large, braided rivers that has provided consistent transport for centuries, boats rule. Some of the native kayaks built across the state grace museums now as well as Alaskan rivers. Since shipping was also accordingly expensive, two challenges have been faced by Alaskans and met head-on: local food and waste removal. The first has never really been an “issue”, per say, as transport from the lower 48 has always been pricey (just ask an Alaskan how many oranges they typically get) and “Alaskan Grown” is now a marketing campaign as well as a point of pride. 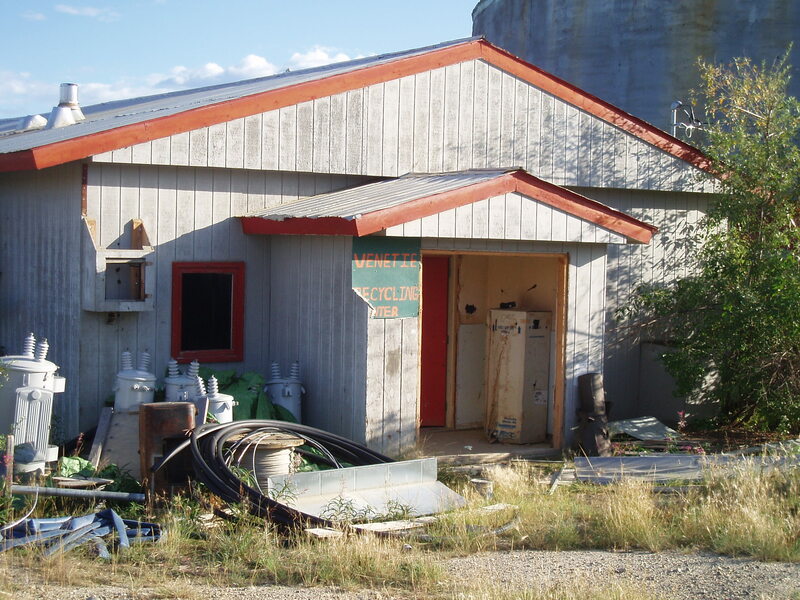 Waste removal has powered the small-scale recycling operations in small towns like Venetie. Rather than pile up trash in a centralized landfill or ship products long distances to be reused, a cottage industry is beginning to arise to repurpose and recycle what is used in the village by the village and for the village. It’s a very visible testament to a full local economy, caring for products from cradle to grave. In short, there are some surprising lessons to be learned from the most well-endowed state in terms of oil. My experiences were from a short stay in the region, but I took home a wealth of information and thoughts about city planning, sustainability, and possibilities. The frontier attitude of Alaska was perhaps the biggest lesson to be learned – to take the challenges of the future and turn lemons into lemonade. I’m sorry to say you left with a wealth of misinformation about the oil industry. First, no Alaskan oil is exported. Except for the small amount product processed at the North Pole refinery all of Alaska’s oil is refined at West Coast refineries for US markets. There is some ‘heavy’ oil produced on the North Slope but most is not ‘heavy’ crude, around 30 API. Regarding pipelines, all pipelines use pigs. They are not unique to TAPS nor to Alaska crude. They are a typical maintenance tool. Your observations on transportation and travel are certainly quite true. Thanks for your reply – before writing this article, I found all sorts of information on the web, none of which I could vouch for 100%, so I decided to stick to my own experiences. These were interviewing natives in order to create a social-ecological model for future resource access. Mostly salmon, trees, and caribou for the model but oil often came up talking with co-workers or informants. If they’re wrong, I can at least vouch for a perception among the non-oil workers that the Alaskan oil isn’t directly going to Alaska. Lynn makes the appropriate points about oil production and transportation. About 96% of Alaskan oil has stayed in the country. However, the state of Alaska and the oil companies both wanted to export the 30 API gravity oil to Asia in trade for lighter, sweeter oil from the Middle East. Saudi oil could be delivered to the East Coast where it was needed most. That would have both helped the environment, cut costs, and increased returns to both the state of Alaska and the companies. The federal government in the name of energy independence and the shipping lobby would not allow it. 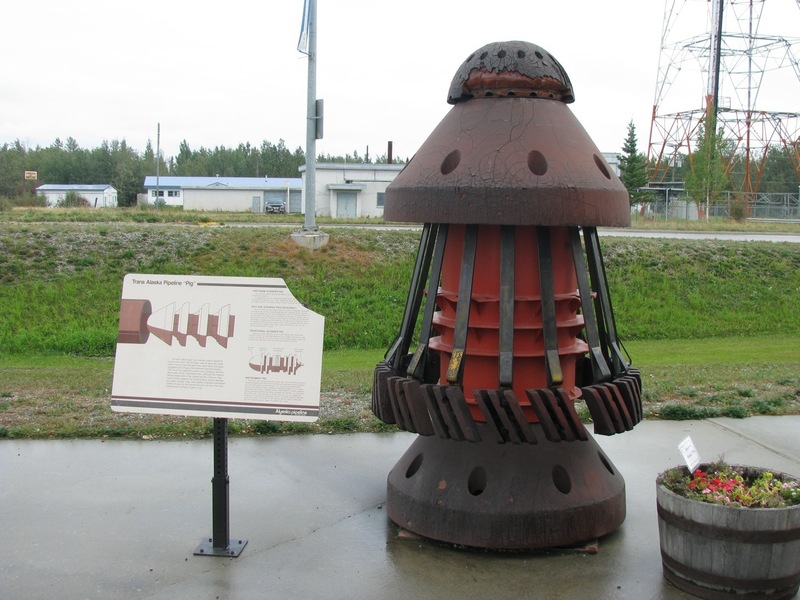 For more facts without relying on the web, see http://www.thelastalaskanbarrel.com and read The Last Alaskan Barrel: An Arctic Oil Bonanza that Never Was. I found this article to be very insightful as I had very little knowledge about the issue being discussed. I did however found it to be extremely relevant to the current economic issue of the increase of gas prices.